SARITA DUA Sarita Dua has a keen understanding of customer service and provides it at the highest level. She knows that to be a good Realtor, you have to have market knowledge, experience and relationships. You have to clearly understand the process. Sarita does. She means it. If she’s showing a house on a main road on Sunday afternoon, she’ll alert the buyer to the fact that it may be quiet now, but they should come back on Monday morning to be sure. Her clients trust her and appreciate that she treats them like family members. 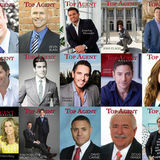 Technology Committee, coaches agents and is an industry speaker for companies such as Inman, realtor.com and Zillow. Personally, she and her family are travel junkies and go on trips whenever they can. Fun also includes gadgets, photography, the Portland Trailblazers and walking half-marathons. 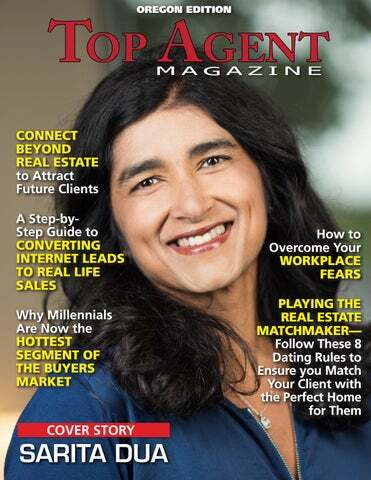 As long as she’s making a difference in her clients’ lives, Sarita can’t see herself doing anything other than real estate for a very long time. She plans to continue minimizing risk and managing the process so it’s as stress-free for clients as possible. Ask Sarita. She’ll have an answer! Converting Internet Leads to Real Life Sales In the era of apps, instantaneous social platforms, and text messaging, it’s little surprise that the modern homebuyer begins his or her search for real estate representation online. Even if you’ve got a top-notch website or an influential social media presence, how do you connect with web surfers who have yet to commit to the services you offer? Take a look below to learn a few key techniques to bridge the gap between digital interest and real-world sales.